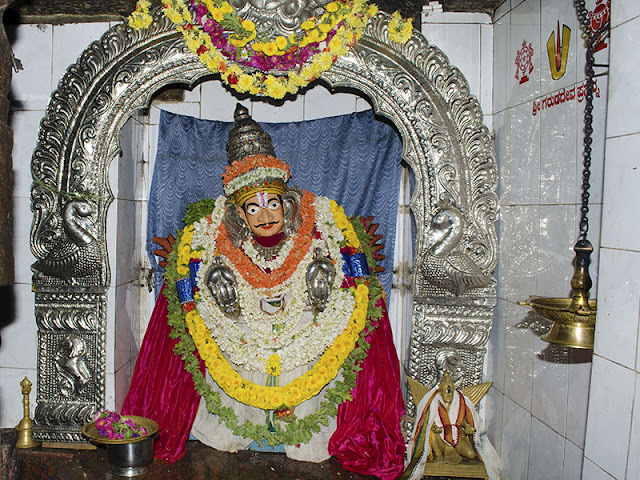 Basavanahalli is about 30 km away from Bengaluru and a km from Nelamangala town. In ancient time many rishis(sage) would visit here and meditate While meditating there was a person who frequently came and disturbed the sage. One of the sage got agitated, cursed him to become a Bull. He became a bull.Hence the name Basavanahalli. A sage by name Koundanya maharishi used to meditate, do his daily prayers near a boulder. So known as Koundanya ashrama. Here one can see a small pond in the conch shape. One day the bull came in search of food. On seeing this bull's condition, Maharishi got piety on it. He went into deep meditation, prayed to Lord Vishnu and pours out his emotion about this to Lord Vishnu. 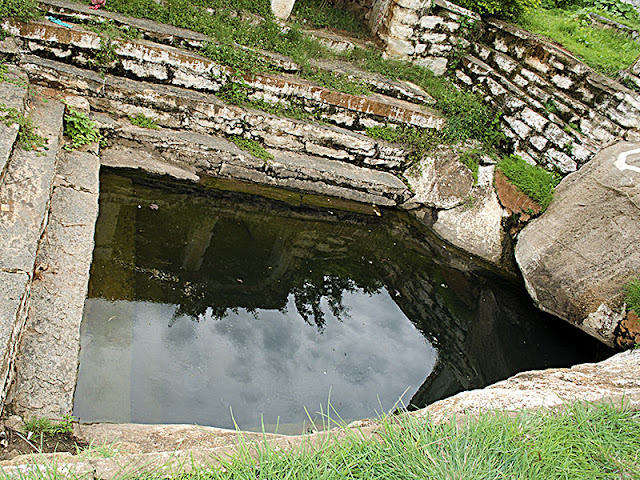 Lord Vishnu asked him to create a Shanku Pushkarani (conch pond) from his conch. 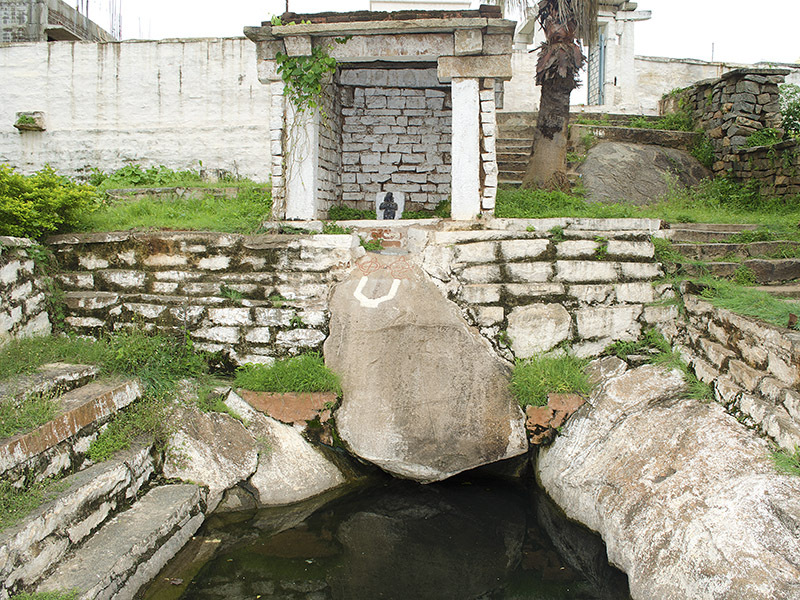 Once the bull drank this sacred water, it was relieved of its sin. 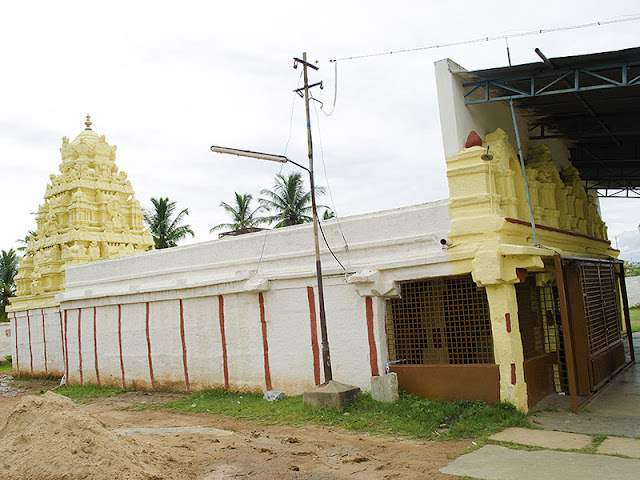 Next to this place, there is a temple dedicated to Lord Venkataramana and his vahana Garuda (divine eagle bird). The shrine was said to be consecrated during the time of King Janamanjaya (great grandson of Arjuna, Grandson of Abhimanyu). As per local residents, the temple is built during the Vijayanagar period. Here Lord Venkataramana pose seen differently. 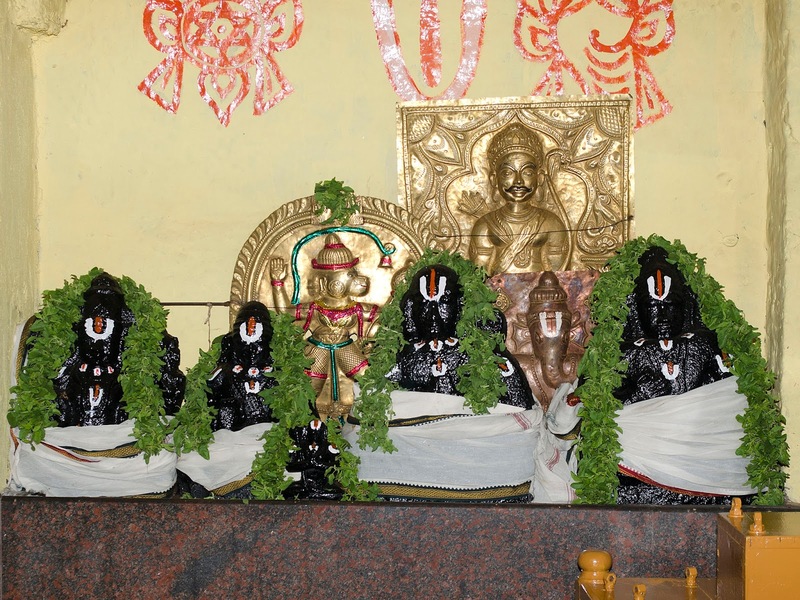 He is posing in abhaya hastham (right hand) palm are pointing upwards and varada hastham (left hand) with the palm are pointing downwards than the usual varada hastham and kati hastham. Even his vahana (vehicle) also seen in different pose. 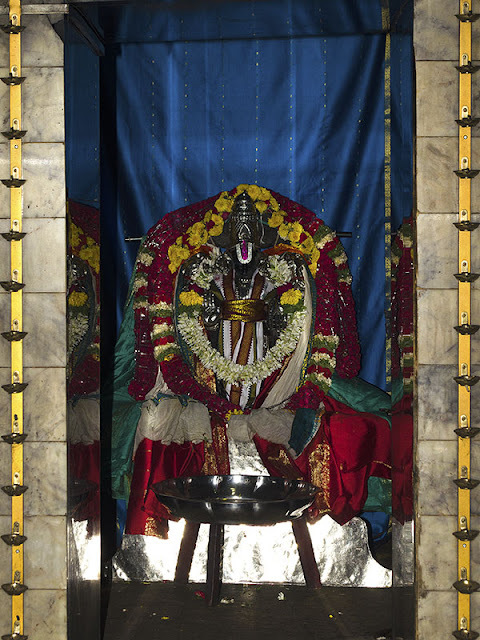 Here in this shrine, Garuda is both the Utsavar (festival deity) as well as the Moolavar (main deity). 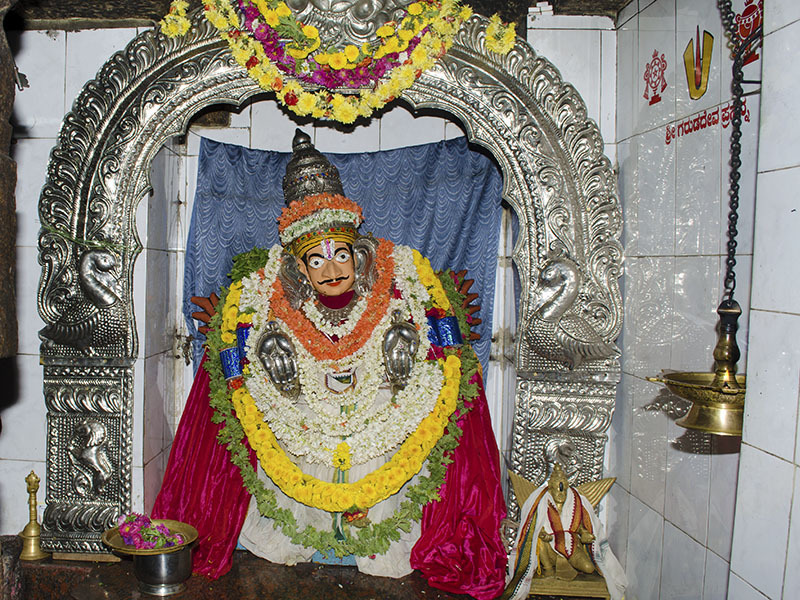 Most of the locals worship Garuda for their well being. 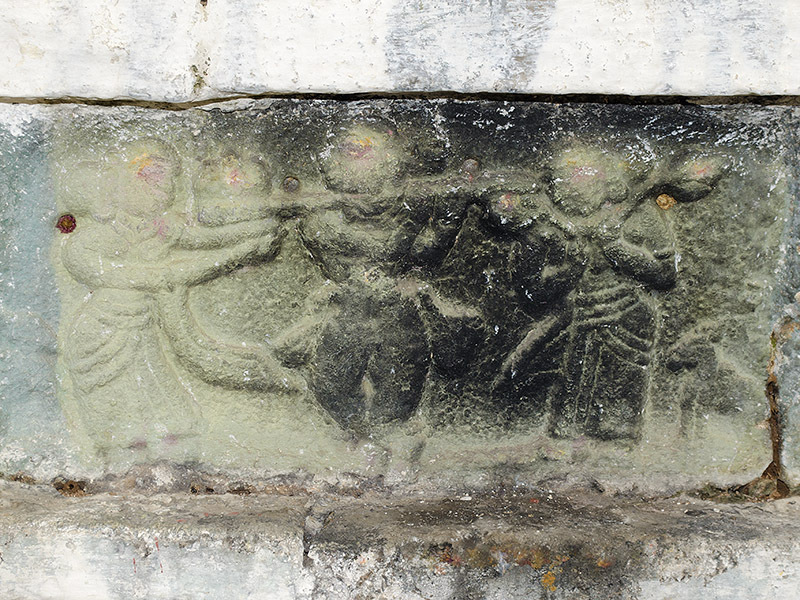 There are many devotees to Garuda here. It is said that while Garuda is taken for the procession through the streets, if someone had not offered they had promised, the chariot will not move forward. If it had crossed the place, it would move backward and stop near the home till the devotee fulfills his promised offerings. Note: Priest of this temple stays near by. If this temple is closed, you can check with local resident to inform the priest when you are planning to visit here during the weekend.